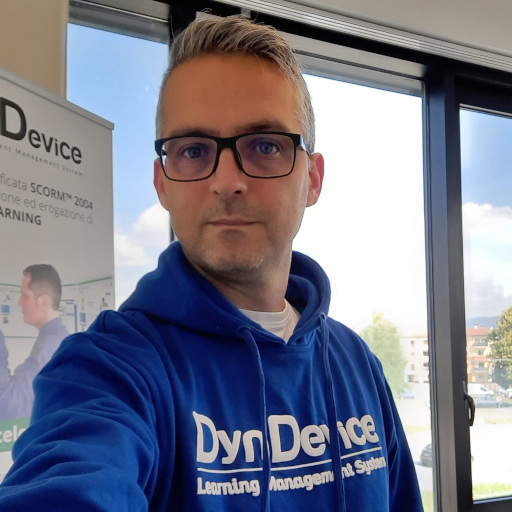 We have now completed the release on the Mega Italia Media cloud of version 3.1 build 002 of DynDevice (training management system), the complete training management system equipped with 6 solutions: e-Learning platform, SCORM™ editor (LCMS with authoring tools), HR management, web content management and company intranet management. Course timeline. The "Timelines" displayed in the LCMS and LMS areas are now exactly the same, particularly in terms of optional Learning Objects. "Support" module: automatic login to the support area upon clicking on the email notification now also applies to users receiving replies as well as operators. "Comments" module: recall of comments from the page containing the scorm player has been made quicker so that navigation between courses in now more fluid. "Dyn Maps" module: a minor bug which was preventing dynamic editing in the objects displayed on the map when editing checkboxes has been fixed. • in relation to the password retrieval procedure, if an email address linked to multiple accounts is entered, an extra step is required to specify the username whose password (or link to change it) is being requested. "Search" module: search has been improved for courses with special characters in their names. "Subscription" module: further checks have been added so as to prevent users from purchasing subscriptions when these are managed by a different user. SSO process. In SSO settings, it is now possible to choose whether to use the Service Provider's certificates or not.